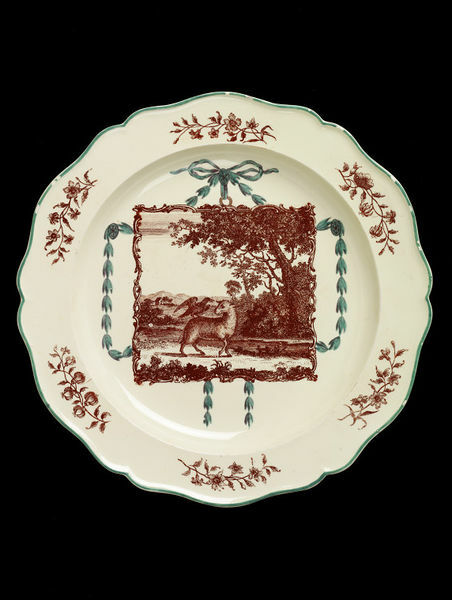 Plate of earthenware transfer-printed with red enamel over the glaze, with a wavy edge and outlined in green. 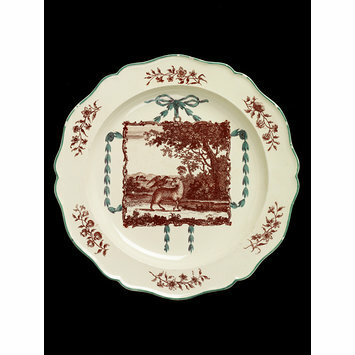 Printed with the 'The Sheep and the Crow' from Aesop's Fables, and has a square rococo border, and the print is represented as suspended from a knotted ribbon by festoons of husk-pattern painted in green. Detached sprays of flowers are printed on the rim. One of twelve plates 414:1135/A to L-1885 (Sch. II 401A to L). 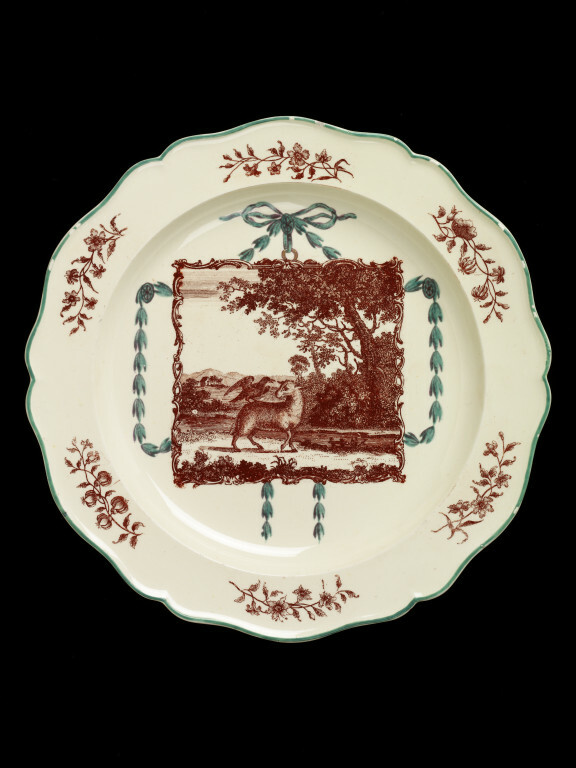 Plate 'The Sheep and the Crow' of earthenware transfer-printed with red enamel over the glaze, Josiah Wedgwood and Sons Ltd., Etruria, printed by Sadler and Green, Liverpool, ca 1775. Towner, Donald. Creamware. London : Faber & Faber, 1978. 61 p., pl. 20a & p. 64.